The Rolling Stones are the latest band to ask the presumptive nominee of the Republican party to stop playing their songs at his rallies. “Start Me Up” was used most recently at Trump’s victory rally in the Indiana primary. Trump responded by respecting the bands wishes. “I have no problem with that. I like Mick Jagger,” he said on CNBC. This is not the first time that The Rolling Stones have tangled with Donald Trump. In 1989, at a gig in Trump’s Atlantic City hotel Keith Richards threatened violence when the real estate mogul gave a press conference against the bands’ wishes. That night ended peacefully but only after Trump was met with “40 of the crew with tire irons and hockey sticks and screwdrivers,” according to Rolling Stones tour manager Michael Cohl. 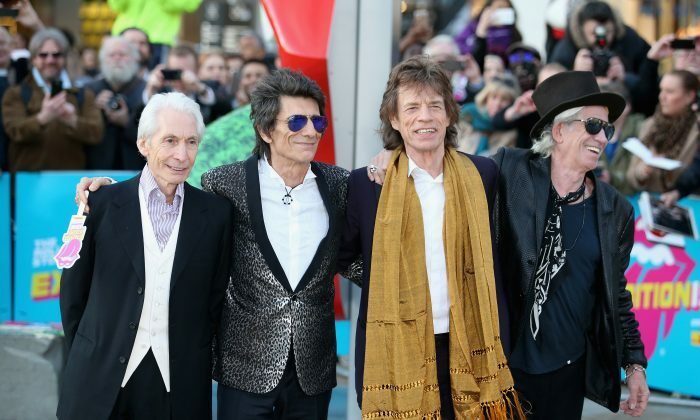 The Rolling Stones join a list of bands that have blocked Trump from using their songs including Neil Young, Adele, and Aerosmith’s Steven Tyler. R.E.M.’s frontman Michael Stipe was particularly angry when “It’s the End of the World as We Know It (And I Feel Fine)” was played at a Tea Party rally at the U.S. capitol last September as Trump took the stage. “Do not use our music or my voice for your … moronic charade of a campaign,” Stipe said on social media. Donald Trump isn’t the first politician to get barred by artists. Other examples include Bruce Springsteen disallowing Ronald Reagan from using “Born in the U.S.A.” during the 1984 reelection and Tom Petty telling Michele Bachmann not to play “American Girl” while she ran for president in 2011.